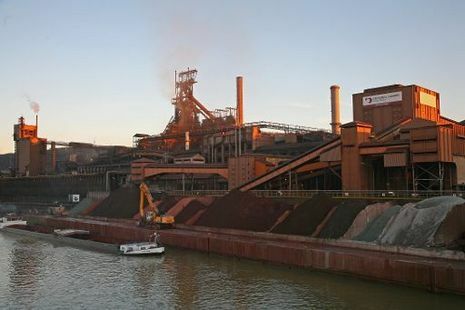 Last week, the giant steel maker Arcelor Mittal announced the shutting down of several plants in Liege. 1,300 jobs are threatened. This news has taken many by surprise. Politicians cry betrayal. Last year, Mittal had promised to invest millions of € in Liege. In fairness, the posture of politicians is naive and cynical. In Europe’s volatile and distressed economic context, how could politicians ever believe – and try to make believe – in the oral commitments made by Mittal (why did not they ask him to put commitments to paper?). All the more considering that since 20 years, industry analysts keep making cassandresque predictions, describing the steel industry in Liege as morribond. At university, several colleagues asked me whether EU competition law could possibly undermine Arcelor Mittal’s proposed strategy. In the past hours, the debate has focused on whether a proposed nationalisation of the Liege plants by the Belgian State could constitute lawful/unlawful State aid. I am no State aid expert, so I’ll conveniently decline to answer. A more powerful, yet wholly uncertain possibility would be to apply Article 102 (b) TFEU or its national equivalent under Belgian law. On its website, Arcelor Mittal says it enjoys a “leading market position and market share” in Western Europe and Eastern Europe. Under a narrow market definition, one may thus well find a dominant position. And given that the stated purpose of Arcelor Mittal’s strategy is to reduce overcapacities on Western steel markets and stabilize (or raise) prices, why not hold the shutting down of steel plants akin to unlawful abusive exploitation? After all, if Mittal believes he can influence prices – and on this we may trust him – by closing off some plants, then this is implicit recognition that he enjoys some degree of monopoly power. The bottom line: on cursory analysis, the law provides a legal basis to nail Mittal. But are the facts supportive? “The output of the 600MW coal-fired power plant to be developed by China Huadian in Romania will be exported to Austria and Turkey, minister-delegate for energy Constantin Nita was quoted as saying by Agerpres. It will not compete on the domestic market against its local partner CE Oltenia. This clause is included in the memorandum of understanding on the construction of the project, Nita added without specifying how exactly this limitation would be finally enforced”. But I just meant to say that an agency could possibly apply competition law. The question whether it should is a policy issue on which I have no clear view. I am not a fan of price control, but I am neither viscerally anti the control of exploitative practices. I wrote something longer on that in N. Petit, “Excessive Pricing: The Flaws of ‘Tea Party’ Competition Policy”, Journal of European Competition Law & Practice (2011) 2(6). Pls pardon the self propaganda.